I haven’t been too impressed with the Playstation Vita. I’ve played all the demos, but as of yet, nothing has remotely interested me enough to pick anything up for the system. I have the free MotorStorm Apocalpyse, the free AR games and the free puzzle game Treasures of Montezuma. I was given a copy of Ultimate Marvel Vs. Capcom 3 by a friend at Capcom in exchange for writing a comprehensive walkthrough for the upcoming Pokémon Conquest, but that’s about it. I was even going to pass on Disgaea 3 since I already owned the PS3 version, but Nippon Ichi sent me a review copy, so here we are. We’re big fans of the Disgaea series here at Diehard GameFAN, but Disgaea 3 holds the odd position of being the only game in the franchise not to win a year-end award from us. Disgaea was our Game of the Year in 2003, along with three other awards. It was also the first inductee into our Video Game Hall of Fame. In 2006, Disgaea 2 won our award for “Best Tactical RPG.” In 2011, Disgaea 4, my personal favorite in the series, won “Best PS3 Exclusive.” Disgaea 3 however, hasn’t won anything. I remember reviewing Disgaea 3 back in late 2008. I enjoyed the game, but found it to have the least interesting characters so far. Only Almaz and Sapphire really did it for me. Mao was just annoying and creepy and Beryl was just lame. I was pretty positive and I enjoyed it, but it has always been my least favorite of the series. The PS Vita version, however, is jammed with new content. It has almost all the DLC for the PS3 version built in, which means you’re getting the equivalent of $100+ of content (Well, $100 back when the game was originally released) for $40. That’s crazy awesome… unless, of course, you purchased everything back in the day. Then you’re probably grumpy. 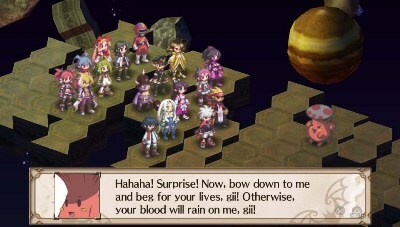 The cutscenes have been changed from static images to the flowing animation seen in Disgaea 4. The game features new touchpad controls (rear and front), four new scenarios equivalent to the one Beryl got in the PS3 version, two new playable characters and completely redone graphics. Whew! This is all pretty awesome, and at the end of the day, I’m really happy with the new version of Disgaea 3 and have already put my old PS3 version in the “trade-in pile.” So Disgaea 3: Absence of Detention is indeed pretty sweet, and if you are a fan of the series or SRPGs in general, you’re going to want to pick this up. That’s all you need to know. You can stop reading here. For newcomers or those that want a more in-depth look at the game… keep on reading. 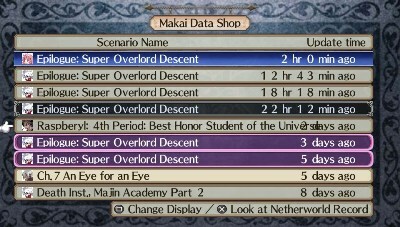 D3 takes place in the Evil Academy, a netherworld that both resembles and acts like a school for demons. Here, however, things are reversed from our world. Being bad makes you an honour student and being good makes you a delinquent. Your main character, Mao, is the son of the Overlord/Dean and is the #1 honour student at Evil Academy because he is so very, very evil. Well, actually he’s not. He’s a big dork obsessed with comics and video games, but somehow that makes him evil. Anyway, Mao wants revenge on his father for destroying his video games, and because he is so pop culture obsessed, he decides that the only way he can defeat the Overlord, is by becoming a hero. Enter Almaz Von Almadine Adamant, a young wanna-be hero who enters the Netherworld at about this time. 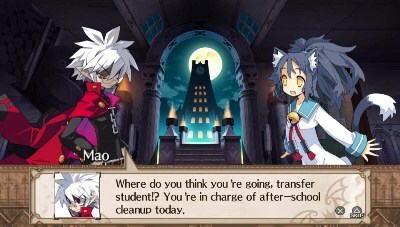 The two meet, Almaz gets knocked out, and with a nod to Phantom Brave, Mao steals Almaz’s title and becomes a hero while Almaz gets the title of demon. Once the switch is made, the two discover that a title is more than mere words and it begins to affect them slowly but dramatically. Can these wacky mismatched tag team partners gets their titles (and souls) fixed? Can they get along long enough to achieve their mutual goal of defeating the Overlord? You’ll have to play the game to find out. 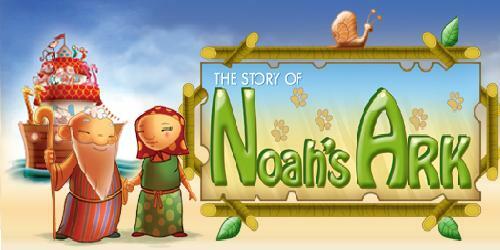 Overall, the story is quite nice and at times it’s even laugh out loud funny. Even though I think Mao is the worst antagonist in the history of Nippon Ichi SRPG’s, the rest of the cast is quite well done and helps to make the story worth playing through. 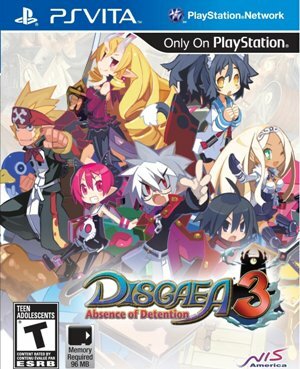 What’s also great is that unlike Disgaea 2 (the last Disgaea title to get remade portable style), D3 is virtually stand-alone with little to no involvement from the previous Disgaea casts. This is great, because one of my big problems with Disgaea 2 was how much the D1 characters overshadowed Adell and Rozalyn when they showed up. Here though, Mao, Almaz, the Princess, Geoffrey, Beryl and the rest of the cast take center stage and do a grand job of it. That doesn’t mean you won’t be encountering classic characters from a wide range of previous Nippon Ichi games. It’s just that they are all in optional post game bits. The story is quite enjoyable and it takes a nice look at what it truly means to be a hero. The plot and characters make this the best RPG currently on the Vita, although I guess that’s kind of a left-handed compliment considering the only other real RPG is Dungeon Hunter: Alliance. The plot could have used some work, and I never really enjoyed Mao as he was too much of a creepy nerd for my liking, but the game’s story is still going to be exactly what Nippon Ichi fans remember and are happy with. I will say I prefer the bonus scenarios, as the focus is off Mao, and it’s great to have these options available. It’s just too bad they are post-game bits instead of immediately accessible like we saw with Phantom Brave‘s PSP/Wii remakes. 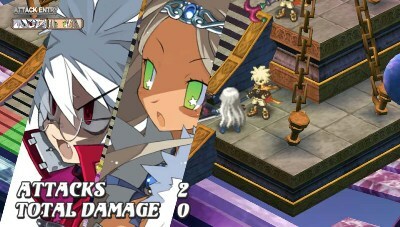 I was pretty hard on the visuals in the PS3 version of Disgaea 3, but rightfully so, as it looked like a PS2 game on Sony’s (then) new high definition next gen system. Nippon Ichi heard this from more than just me, and with the new Vita release, the graphics have been retooled. We have new spells, new animations, flowing image cut scenes instead of static images and more. It looks fantastic, and the difference between the visuals is immediately noticeable and quite striking. Now, sure, compared to things like Heavy Rain or LA Noire, the visuals of D3 aren’t as jaw dropping to the average gamer. But for those games, the emphasis is primarily on the graphics, while in an SRPG, the emphasis is on the sheer amount of content and/or gameplay. It’s kind of like comparing apples and oranges. For SRPG fans, especially those that played the original version of Disgaea 3, you can’t help but be impressed by what’s here… as well as a little sad for the PS3 version, which you’ll probably never pick up again once you have this. 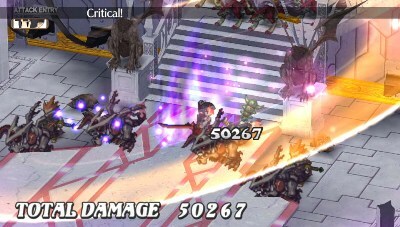 Although not as impressive as Disgaea 4, this is still a gorgeous looking game by SRPG standards. I am quite impressed by the end result. 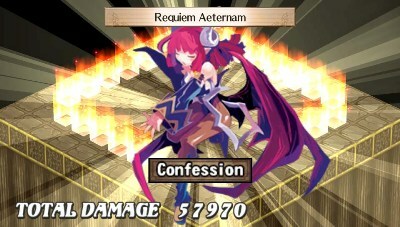 This was Disgaea 3“Ëœs strongest point in 2008, and it’s still a major highlight in 2012. The score is as awesome as it is varied. Each song manages to be quite catchy and infectious. Unlike the original PS3 version, which came with a customizable D3 soundtrack if you purchased the game Rosenqueen.com, you don’t get the chance to have the music at your disposal. This is a bit sad as all the tracks are amazing. They get stuck in my head after playing the game and I’ll be whistling them in the shower, humming them to my pets and while I am driving around doing errands. It’s such a wonderful soundtrack across the board. The voice acting is top notch and really helps make the game come alive, as Nippon Ichi recruited some big name actors from the voiceover world. Mao is played by Vic Mignogna, who you might know as Broly from Dragon Ball Z or his work in series like Bleach and Naruto. Laura Bailey (Chi-Chi and Trunks from DBZ and the English voice of Chun-li) is Raspberryl, and so on. All of the actors/actresses in the game have extensive experience with voice acting video games and/or anime and it shows. More than likely, you’ll be able to recognize a few voices and be thrilled that they are in the game. Vocally and musically, Disgaea 3 is my third favorite game that Nippon Ichi has put out, behind Makai Kingdom and Disgaea 4. Much like the original PS3 version of this game, Absence of Detention is a game worth picking up just for the acting and soundtrack. This is the one area where the PS Vita version isn’t as good as the PS3 version. I STRONGLY recommend you turn on the back touch pad controls as soon as you can, as they will drive you crazy. They are extremely sensitive and you’ll think the game is exceptionally buggy at first, until you realize that the slightest brush back there will causes the game to spin, pan in, pan out, or something else equally annoying. Unless you hold your Vita like a crab would instead of how most handhelds are held, you’re going to watch your game repeatedly engage in what looks like the occasional digital seizure. Once those are off though, everything plays exactly like you would expect it to. 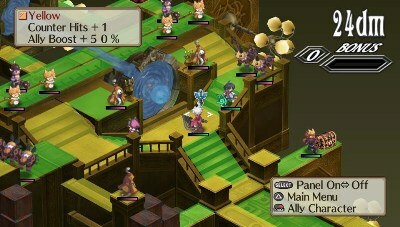 Like most SRPGs, the majority of the game can be divided into two areas: Base Camp and Battling. Base Camp is your out of combat area where you can get items and heal your characters, but do little else. In Disgaea 3 you can also talk to unimportant NPC’s, open treasure chests and go to homeroom, which is a little bit more then the majority of SRPG’s, but still a long way from Shining Force I-III in terms of exploration. Battles involve your usual grid based map, in which both you and your opponents move around the map trying to kill each other. Your goals can range from anything between “Kill everything”Â to “Kill this one specific character.”Â It’s pretty much the same thing for every map on the game, but at least there are multiple reasons and locations for this repeated slaughter. One of the interesting things about Disgaea 3, like all Nippon Ichi SRPG’s, is that the game is turn based. This means one side gets to move all their characters , then the opponent goes, and the process is repeated until one side is dead. Most SRPG’s feature every character on the screen at once with turns based on speed. With speed based RPG’s luck and stats play far more a role then they do in D3, where you can be a little more tactical with your gameplay. Clubs are exactly like what you’d expect from a school: Small organizations devoted to a particular extracurricular activity. Here however, these clubs provide you with bonuses to your stats or bonus abilities such as a new tower “dual throw,”Â enhancement or the ability to gain Mana (more on that below) or XP to a new and generally boring ability called Magi-Change which turns a monster alley into a weapon for a limited amount of turns before it goes away thus leaving you at a tactical advantage, or even unlock new background tracks. The last big change is a big one but it’s also Lunar 2: Eternal Blue levels of stupid. See, in Disgaea 3 you have something you collect called mana. With mana, you can spend it towards proposals for your character in Homeroom, or get yourself reincarnated (drops you back down to Level 1 but with massively increased base stats). D3 adds a new level where all your skills and magic need to be bought with mana as well. Yes, you read that right. Instead of enhancing your special abilities and skills naturally, the game did the exact same thing as the Sega-CD version of Lunar 2 which is easily one of the five most bitched out gameplay changes in the history of RPG’s. Why was this the one thing they left alone from the original version of D3? Seriously! So this means you now have something else to spend Mana on, which is obscenely low to begin with because the game is all about grinding rather than plot advancement, and it also royally screws over characters like Priest or Clerics who are generally HEALING. In the previous games, Clerics managed to get their abilities up pretty nicely because skill and special abilities were raised in a sane logical manner called USING THEM. I can’t honestly think of a reason why they decided to go this route. Evilities are also back, which are the Disgaea version of Pokemon abilities, inane automatic powers specific to each character. How do you earn new ones? By spending more mana of course… Ugh. You’ve also got the Item World which lets you power up equipment, pirates, hidden levels, secret characters to encounter and unlock, post game battles and even full on storylines that can be played after you beat the game. There is an insane amount of content here. Literally hundreds of hours worth before you even come close to doing all there is to do in the game. I’m definitely not a fan of the touch screen aspect and mana still annoys the crap out of me nearly four years later, but it is what it is. If you enjoy SRPGs, you’ll have a lot of fun with this, although D3 is still the weakest game in the series for me, both story and gameplay wise because of odd decisions both new and old that you’ll have to deal with here. Remember in the last section where I mentioned the game has literally hundreds of hours of content. That should be all you really need to know here? There are so many optional quests and such an emphasis on uber stat micro-management that you could play only this game for a year and still have lots of stuff left to do. For those of you who just want the story, that’s about fifty or so hours, depending on how much you muck about with the Item World, Class World, Homeroom and things like that. Thankfully the game can accommodate casual interest as well, but it really is geared for multiple playthroughs and for hundreds of hours of mindless mayhem. Balance is an odd thing in Disgaea games, especially Disgaea 3. Sure, you can go the game’s story more or less and have an affair that is challenging but not maddening. However, if you choose to do Class Mode or the Item World, you can grind your characters up so high, the game is a cakewalk. At the same time, in optional content, you can occasionally be hit with say, invading pirates that are ten times your level or more, ensuring instant death for your entire party with no way out save a Mr. Gency Exit or a reload. That’s not cool. Same too, with the last boss of Chapter 1. The first time you face it, it’s Level 9 or so. Subsequent playthroughs will have the boss at…level 1200. Sheesh. That’s a bit insane considering most people will be around Levels 90-100 when they beat the game. So there are definite balance issues – some made by over-grinding and other to make you grind relentlessly. In the game’s favor is your ability to vote for stronger or weaker enemies, but if you’re doing a lot of exploring or munchkin’ing your guys, then this has little to no affect. If you’re playing just to beat the game for the sake of story and stick to that, you’ll find a well crafted nicely balanced title, but if you do any veering off, get ready for a massive cakewalk except for the occasional random rare occurrence or when playing the post game’s optional battles and scenarios. Not only is Disgaea 3 basically the same as it was four years ago, albeit with more bells and whistles, the core of the franchise hasn’t changed since the series debuted a decade ago. Disgaea 3 did bring a lot of new elements to the series and SRPGs in general when it first came out though. Between stealing pirate ships, going on the Diez Gentlemen quests, and all the new optional bits that were previously DLC only or flat out nonexistent until this version, the game does feel like a lot of internal tweaking has been done to it. Still though, Nippon Ichi has released nine different SRPGs in the past decade (All four Disgaeas, Phantom Brave, Makai Kingdom, La Pucelle, LP: Ragnarok and technically Z.H.P, along several different versions of each of the above to boot!) and they are all mostly interchangeable save for story and characters. There’s a lot of customization to Disgaea 3, and the added content and retooling of the graphics shows Nippon Ichi isn’t willing to rest on its laurels but the gamer does continue to make the Vita look like a system of nothing but ports and sequels. I love SRPGs. They’re my favorite genre of RPGs and have been since Shining Force for the Sega Genesis. They’re a rare breed these days, so I tend to devour whatever ones come my way, be they in English or Japanese. 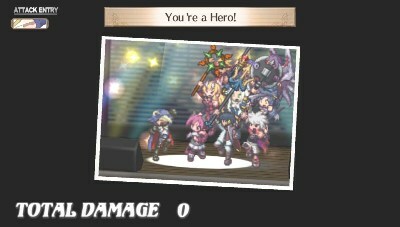 Even though Disgaea 3 is my least favorite of the series, I still found myself putting a lot of time into the game. Those three Call of Cthulhu releases I have to review? Disgaea 3 came first. Spirit Camera? Ditto. Captain Morgane and the Golden Turtle for the PS3? Still untouched. So even though this is my least favorite game in the series, it’s still one I really enjoy playing and was happy to go back to four years after my first experience with it. You too will probably find Disgaea 3 hard to put down. With such a weird, funny story, you’ll want to keep playing the story bits, but then you’ll get access to the item world and want to fiddle around there. Then you’ll spend an hour optimizing your classroom. Before you know it, the battery in your Vita will be in need of a recharge. 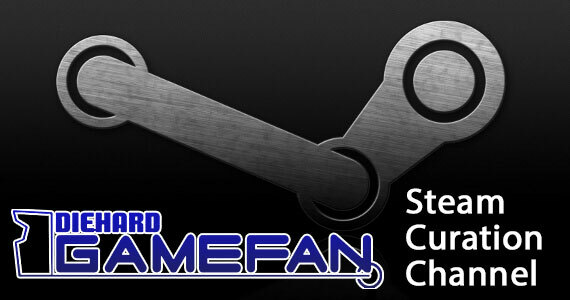 With all the new content as well as the previous DLC on disc and free, even people that beat the original will have new things to discover here. Again, if you even remotely enjoy SRPGs, this is not only a must have for your Vita, but for your collection across the board. There really isn’t a lot of the PS Vita right now, especially if you’re an RPG fan. The fact Disgaea 3 gives you hundreds of hours of playtime for less than forty dollars should be reason enough for any RPG fan to pick this up. It’s the biggest bang for your buck that the system has and there’s enough new content (be it literally new or previously paid DLC only) that even owners of the PS3 version should strongly consider picking Disgaea 3 up. With so little coming out for the Vita in the next few months, you could devote yourself entirely to this game until the next title you want comes out and you will still have a ton of stuff left to fiddle with! So if you’re a Vita owner looking to get some quality use out of the system – this is the game to go for. If you’re a JRPG fan – this is the game you should considering getting first and foremost if you’re buying (or already own) a Vita. Sure the sheer amount of content may be overwhelming or frighten newcomers, but look at it this way – you’re paying pennies per hour of entertainment, if that, compared to say 40-50 dollars for a game that only last a few hours. With all the tutorials in the game, Disgaea 3 is somewhat inviting to newcomers too. Honestly, this is not only the one game for4 the PS Vita I’d actually recommend right now, but it’s also the only one that is better than the console version to boot. About the only people that wouldn’t have fun with this are people who don’t like SRPGs or the Disgaea franchise as a whole. Forty dollars for several hundred hours worth of role-playing goodness? Awesome. Over fifty dollars worth of free DLC added into Vita version of the game? Also awesome…unless you bought everything for the PS3 version. 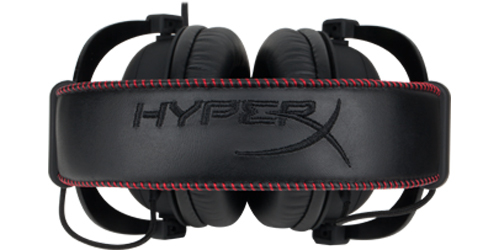 All new content and portability so you can game on the go? Yet again, we have awesomeness. I’ll admit that I’m not a fan of Nippon Ichi constantly re-releasing things when the originals are still available for current systems (especially while La Pucelle Ragnarok and Makai Kingdom Portable remain unlocalized), but holy crap did they outdo themselves this time. Aside from my own personal disdain for some of the characters in this game, I was blown away by the sheer quality in this. This is not just another port or slight upgrade designed to sell a person yet another copy of the same game (looking at YOU, Capcom). 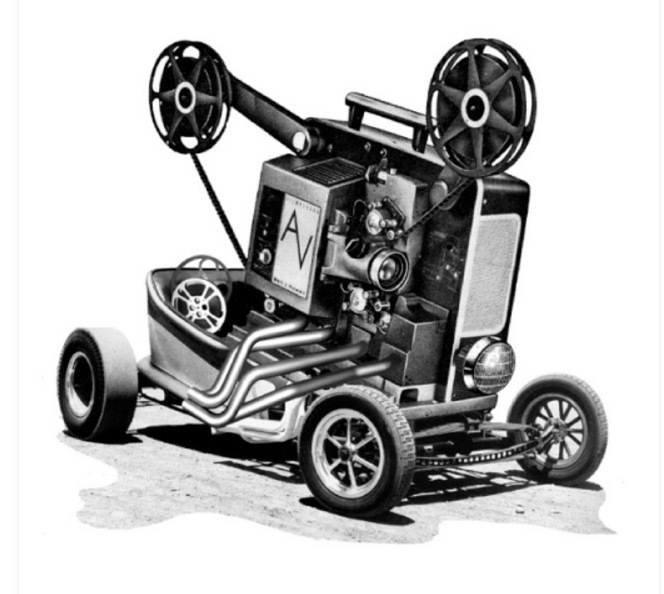 This is completely rebuilt from the ground up with new graphics, content, music, playable character and more. Pound for pound, Disgaea 3: Absence of Detention is not only superior to the PS3 version in every way, but it’s the best deal for the Vita to date…and probably will be for some time. Disgaea 3: Absence of Detention isn’t just a remake of 2008’s PS3 title, it contains all the DLC made for the console version and many, many hours of new content to boot! Considering the bare bones PS3 version could take several hundred hours to do everything, you are getting more content in this one game than in all the other titles for the PS Vita – COMBINED. If that’s not enough to make you want to throw your money at Nippon Ichi, the graphics have been retooled, there are new playable characters, new music tracks and you can finally play the game on the go. It also helps that this is your only real option for a JRPG on the Vita (in North America). Unless you absolutely hate SRPGs or the Disgaea series in general, picking up Disgaea 3 is almost a no-brainer. who on earth would want to play that game AGAIN when he or she already played the PS3 version? i dare to say that everyone that had interest in this game played it a long time ago. i cannot imagine that this title will do anything than bomb, given there are some sales here and there by overly bored kids. 1) Because there’s a ton of new content. 2) It’s a well made game. 3) Most RPG fans don’t play a game once and then never touch it again. They go back for the story (and sometimes the gameplay) again and again over the years. I’ve lost track of how many times I’ve played Shining Force or the first gen of Pokemon. Hell the above statement can be applied to most gamers in general. 4) It’s on a handheld that doesn’t have a lot of content or any other RPG options. 5) People that are new to the series via Disgaea 4 and would rather get the full experience and then some for $40 instead of 80-100. The day I buy my Vita, this is a day one purchase along with it. I’m a huge Uncharted fan and I’m passing that one up to get this instead. So there’s one purchase. Some of us prefer paying $40 for all the DLC as opposed to over $100. If you bought any of the DLC already though there’s no reason to get this.